This month I sat through a lecture by an academic who was so mind-numbingly dull that it created genuine anxiety in the audience. We were dying a slow, internal, painful death. It was an assault on our human rights, mental torture. The content was banal, the PowerPoint screens of text overwhelmingly dull and simply read from the screen, and the delivery metronomic and monotonous. After the talk, this person was no better, unsmiling and uncommunicative. Turns out this person was a Professor of Communication (I kid you not) at a prestigious University. What’s going on here? It made me think. Is there a tendency (only a distribution skew) among academics towards austism/aspergers? 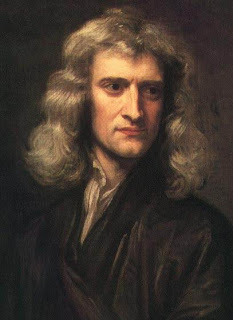 Newton was famously introverted and anti-social. His lectures were so bad that he often delivered them with no one in the room (how weird is that?). Einstein had similar tendencies and his lectures were regarded as messy and confused. This autism hypothesis among high-end academics was discussed in an article in New Scientist by Baron-Cohen, an expert in the subject. All of this has entered popular culture through movies, TV programmes and comedy sketches of the 'absent-minded Professor'. My favourite absent-minded professor story is of geneticist Sewall Wright who spent hours chalking up blackboards with his back to his students. He is said to have once accidentally used a guinea pig as an eraser! In other words, there some truth in the idea that many academics are somehwat disassociated from other people and the world. This skew does explain the fondness academics have for lectures, as it is a minimalist approach to teaching. Few academics have a heavy teaching load, cretainly nowhere near that of a school teacher. But more significantly, it keeps social contact to an absolute minimum and minimises personal contact with students. It’s a solitary profession and I'd posit that those that choose this path (many but by no means all) may have a tendency to shun jobs with complex, social contexts. On the whole the academics I know don’t relish the idea of contact with students. They like to keep their distance. Indeed, many have a disdainful view of their charges, moaning about their lack of curiosity, literacy and plagiaristic tendencies. On the whole there is an expectation that students are there to shut up and listen. It’s not the job of the lecturer to motivate, entertain or raise interest, merely to deliver their acquired knowledge. It’s so basically behaviourist that it beggar’s belief. Should bad teachers be allowed to teach? I should add that this is not an attack on those who have autism, aspergers or who are simply quiet, introverted or shy. Neiter is it a general attack on those who teach. It’s merely an observation that suggests some filtering by academia in terms of who teach. Bad lecturers don’t teach, they turn students off the subject, doing far more harm than good. Almost everyone can remember a bad teacher that put them off a subject, even a subject they enjoyed or loved. Bad lectures and teaching are incredibly destructive forces. They diminish learning. We demand justice when a politcal advisor shoots off a few loose emails, policemen tred beyond their duties in demonstrations and social workers make mistakes. Shouldn't we call time on those who pretent to teach, but actually parrot the written text with no added value? Hilarious! I always thought the profession very glamorous. The study must be right as the genius needs to be completely absorbed in the subject to be so creative and innovative in the approach. The point is how will they earn a living? As I see, there is a structure to academia and even the brilliant men and woman need to put bread on the table. If the institutions take this conscious decision on allowing them to be productive with their theories and their labs, the teaching could be the responsibility of the set with more communicative abilities and less or more academic brilliance. The problem is, in the rigid structures of academia who will take this call to segregate the creative teachers and creative academics? In rare cases the extreme brilliance of these reclusive set can spark off intense interest through interaction with like-minded students. Besides, I find the philosophical Professor existence very romantic, more so than the suave out-for-kill corporate guy. Yes, I love this. Cruel and funny - which I mean as a compliment to man who I have enjoyed a beer with once or twice.... I think Rina is on to a point also. But, it is very hard to split the role, and though many old school academics seem to see teaching as an annoying distraction from research, we have to blend them both. I lecture and research, but see lecturing as an innefective way to teach. When given a choice, I ask my students to research a topic, and then give them rapid feedback on their findings. When it works well, they develop personal learning about aspects of a topic they want to explore. I get to share their findings, and apply the critical sensibility which I see as the core skill that distinguishes me from them in this era of google and wikipedia. Way back, just after I'd qualified with my research degrees and teacher training and teaching in a prestigious secondary school in Edinburgh, my HoD sent me to a conference in Dundee. I sat listening to one of the lectures (yes that's what it was) given by a teacher-training senior lecturer. He was terrible! What I didn't realise was that in the row of audience sitting right in front of me were my professors who knew I was behind them. Now I was privileged to have these good people teach me for they were all excellent teachers. When the boring lecturer finished they turned round to me and smiled and Prof Gowenlock said, "Ken, know you know how not to deliver a lecture." I cracked up. But it was true! No I don't believe bad teachers should be allowed to teach - not in ANY century! Still all too common, tragically. As Seth Godin says, presenting is a privilege not a chore. It is not a PowerPoint presentation, it is not reading from a pre-written paper. It is a performance, theatre. Actually most of it could be safely scrapped without affecting results. Thanks Donald....enjoyed the digital britain satire and agree completely with the pice on Aspies in Academia...as somebody who lives with an Aspie 16yr old it is a bit like living in a Ken Loach film...you find yourelf laughing and crying at the same time. Spent a day with this guy who really helps..